"Taylor, what did you do?" ... "I colored." 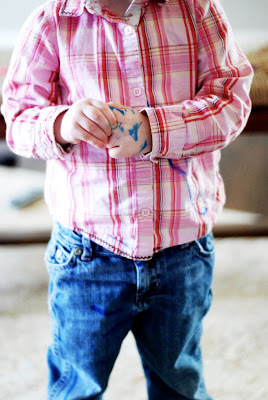 Taylor got her hands on a blue marker this morning when Mommy was out of the room. 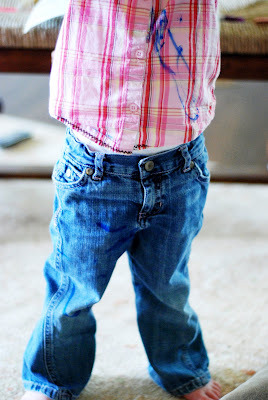 Like a true artist, she showed me her "work" and was quite proud of it, until she realized that her clothes and body weren't exactly the best canvas- oops! 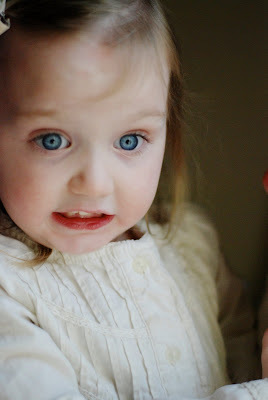 Check out Kate's interpretation of my reaction...love it.